In my first year using HubSpot, I set out to become the best example for my clients. We set the bar so high for ourselves knowing that if we could reach our lofty goals, our customers would see the types of remarkable things we were able to do for them first hand. Well, we did not only reach those goals, we surpassed them! In fact, we did so well that HubSpot featured 3P Creative Group as a customer success story on their website! In our second year, our client work outperformed the work we did for our agency. We had done such a good job for ourselves that the work kept coming in high demand, and quickly. Client work became the primary focus and, well, we could have done things better. #1: HubSpot Is Not A Magic Pill. Inbound Takes Time. I do not believe anyone in their right mind would buy HubSpot and expect something to happen just because they bought the tool. There are certainly immediate benefits from moving your website onto the COS, but inbound marketing does not just happen because you have written out a check to HubSpot. The success of our inbound marketing efforts in the first year of using HubSpot filled our lead pipeline to a degree we had never seen before. We signed on our first HubSpot client in addition to the small website customers we previously had and within the last 15 months, our Inbound Marketing retainer part of our business has seen an explosive growth! Unfortunately, we did not continue to practice what we preached. An all-too-common pattern began to emerge — the same that we see in some of our less successful clients: Inbound Marketing requires constant work, and because it does not show as immediate results as some other marketing tactics (e.g., paid search), it ends up getting pushed down on the priority list. 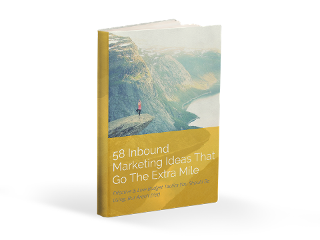 Inbound Marketing is an investment in your future with long-term results — it is a marathon and not a sprint. Also, frequently, when people have the option to do something that yields a quick return, they will choose that option. While we never paid for traffic, we prioritized our client work over our inbound marketing efforts. Since we hired more staff and we have more capacity, we plan on being more strategic and diligent about our internal blogging, social media, and lead generation efforts. I love what I do. I do not even feel like I have a job because I LOVE what I do so much. However, don't get me wrong: It is work. Hard work. Inbound Marketing not only takes skill, expertise, and effort but it also takes time. For example, a single blog post goes far beyond writing 750 words: There are considerable hours spent researching, drafting, writing, editing, optimizing and promoting each piece and a single blog post is a minuscule part of the larger puzzle! However, the hardest part, and the most crucial to get right is the strategy. Once you know your goals, what you need to do to achieve them and how to do that, the execution falls into place a lot easier. 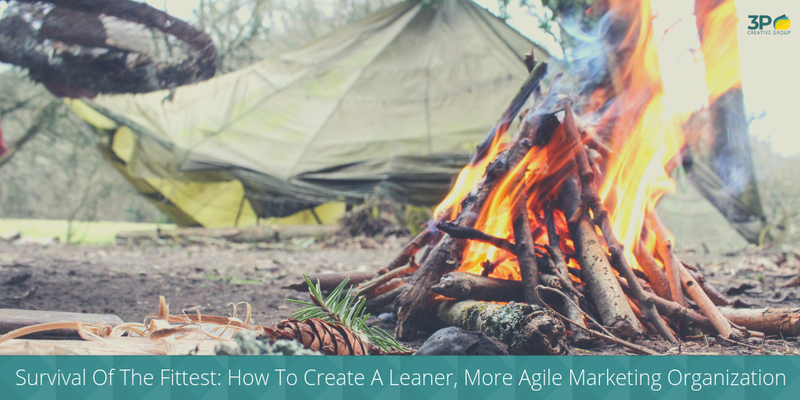 In the first year, we were not always on target with the blog post topics we picked, but we had a plan. In the second year, our editorial calendar had run dry, and we would write whenever and whatever came to mind. While this is not something I would ever recommend to my clients, we were at least putting out content regularly. Now we just have to regain our focus, dial in our messages and stay on track. As technology continues to evolve so do buying behaviors, and often it can be difficult for marketing and sales to keep up. Having a clear and accurate breakdown of our buyer personas (a.k.a. our ideal customers) allows us to cut through the complexity of different demographics and buying behaviors and turn those differences into valuable insights that we can use to better target each audience. This information told us more about our prospects and improved our decision-making throughout the process of content development. Not only did personas help us pinpoint whom we should (and should not!) be talking to, but it also helped us paint a picture of whom we were not talking to yet. Any inbound marketing professional can tell you that clicks and submissions are lovely, but a good conversion rate is even better. We used the data we collected and knowledge of our business that we accumulated over the last two years to build out prospects that wouldn't be a good fit. By building out negative personas, we were able to deliver targeted, quality information to those who wanted it while also scrubbing our prospect list along the way. For us, getting our buyer personas right not only lead to an increase in the number of leads but also the number of qualified leads. What does your sales funnel look like in an ideal scenario? How can the website, the lead generation, and marketing automation tools help fill the funnel? There are premium content pieces that perform better than others in certain industries - find which will speak best to your buyer personas and build a logical flow through the funnel - preferably without any cracks for leads to leak out and fall away. What makes a good lead? Talk to your sales team and come up together with a definition of your lead lifecycle stages (e.g., subscriber, lead, marketing qualified lead (MQL), sales qualified lead (SQL), customer, evangelist, and so on) and what the criteria are that determine these. What your lead follow-up process looks like? Again, talk to your sales team and come to an agreement, how long marketing should nurture these leads and when they should hand them over to sales. This should be a fluent process - but often it is not. While there will be adjustments that need to be made along the way, giving it some thought before you start will save you much time, energy, and resources down the road. Believe me; you do not want to go back and change hundreds of landing pages and call to actions! #5: What To Do With All Those Leads? So we finally nailed inbound marketing and lead generation, but for the last 12 months, lead follow-up had been a sore point. We had a steady and always increasing flow of leads coming in, but we hardly ever followed up. While we were able to generate more leads, we still did not have a formal process in place for what happens when a lead fills out a form on our website. Some form submissions would trigger a follow-up email, but since we were still on the HubSpot Basic level, we did not have workflow capabilities — something I love to use for my clients a lot and sorely miss in my marketing. This year, as we will switch to the Pro Edition of HubSpot, we will implement lead scoring and workflows! I cannot wait. Things do not always go as planned and even when they do, you sometimes find out later that your plan was not ideal. Having used HubSpot methodically for the past two years, things often went according to plan - but we changed direction several times and had to adjust accordingly. For example, in the name of full transparency, we wanted to share a sample contract with our prospects. We did not mind if other HubSpot partner agencies downloaded it, because if we all work together to become better marketers, it only helps us! Unfortunately, it ended up ONLY being downloaded by other agencies, and since we significantly changed how our contract was structured as our business continued to develop, we ended up taking the offer down altogether. Since inbound marketing gives you the ability to measure everything (and you should be), you can pinpoint which campaigns are helping you reach your goals and which are not meeting expectations. Although each campaign takes lots of time and effort, assets that don't perform will likely hinder your performance by clogging up your pipeline with unqualified leads. Inbound Marketing is not a strategy that works if you set it and forget it. Despite the ability to schedule social media posts months out, strategically publish blog posts in the future and automate workflows to nurture your leads, it is not a hands-off operation. A piece of this goes back to #6, if a part of the puzzle is not performing the way it should be you cannot hesitate to take it down, but you should not be afraid to improve it either. Perhaps the eBook does not need to be rewritten, but the landing page does. Sometimes taking a substantial piece of content and just changing the title or re-working the CTA can make a world of difference. On the other side of the coin, sometimes successful pieces need a face lift. Perhaps your personas have changed, or your keywords are different. We always update even our most successful offers to align with our most recent keyword ranking opportunities. Making these minor updates can breath new life into an old asset that may have previously lost its momentum. We are currently preparing for a webinar on May 31st that will show you how you can turn existing blog posts into lead generation assets - so make sure you check it out and sign up! We first learned about HubSpot Connect at Inbound 2015 and instantly thought that it was a brilliant move on Hubspot's part. In the words of Brian Halligan, Hubspot Connect "extends the power of the HubSpot platform by integrating with top-performing tools used across departments to attract, engage and delight customers." 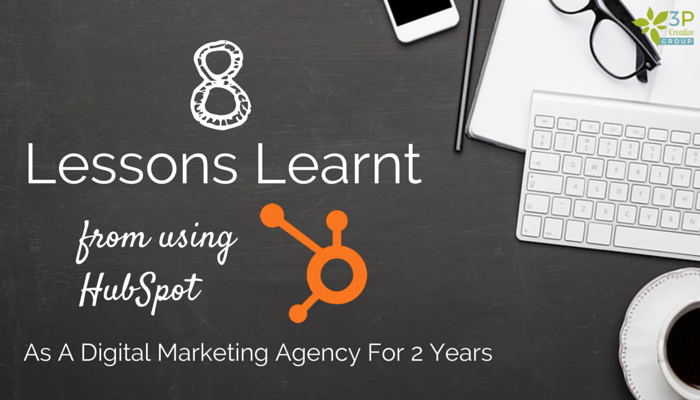 Hubspot seriously upped their integration game last year, and the possibilities are endless. While before Connect, HubSpot integrated with WordPress and Survey Monkey among a few other native programs, the list of options now ranges from Freshbooks to HelloSign, Beacon, and BrightInfo. Not only is the ease of use remarkable with absolutely flawless integrations, but the amount of data we were able to incorporate into our inbound strategy was impressive. The possibilities truly are endless. 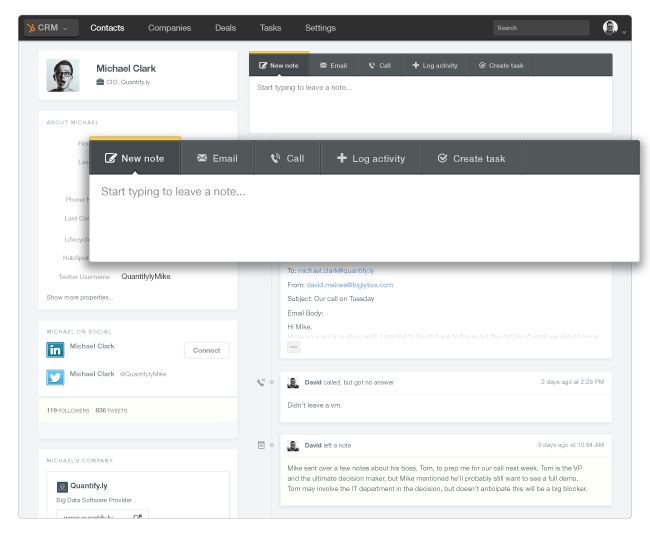 Another feature we had high hopes for was LeadIn - I even joined the Advisory Board. However, unfortunately, we did not have the same overwhelmingly positive experience. LeadIn was originally developed as a free WordPress plugin that offered lead intelligence on the contacts your WordPress website collected. We initially thought this tool would be an excellent stepping stone onto HubSpot. Although the capabilities certainly weren't where, HubSpot's were, WordPress customers would be able to see how much smoother the sales process would be when they call a lead and are armed with the knowledge of what pages they had been viewing on your website. Despite some impressive customization features and the beautiful pop-up, LeadIn does not currently integrate with HubSpot, so the hassle for us to manually bring over new leads outweighs the benefits. New contacts and the lead information were great but if you have to manually import each and everyone, not only are you spending a large amount of time, but you run the risk of human error. What's the point of having valuable lead information without the ability to nurture them properly? Hard Work Gets Rewarded: We Won The "Best Client Growth Story HubSpot Impact Award." All in all, we've learned so much in our first two years using HubSpot both internally and for our customers as a growing digital marketing agency. The biggest lesson of all is that we will continue to learn even more. After most recently winning a HubSpot Impact Award for Best Client Growth Story, we could not be happier with our client work and the progress our accounts have made. 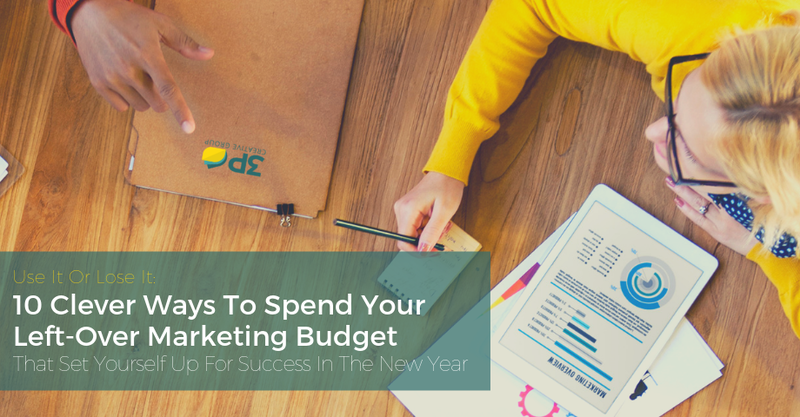 This year will be all about giving ourselves some TLC and becoming the working example of an ideal HubSpot account that we wanted for during our first year.